A room filled with new furniture may not be in your budget right now, but you can still make big (and awesome) changes to your home. Paint color is the easiest and least-expensive way to update your home. An accent wall is the most popular way to make a big color statement in any room, but there are other ways to make a colorful update. Colorful accents are also easy to add with inexpensive throw pillows, small accent rugs, and DIY painted furniture. If you are adding pops of color to your home, try using accents in only one or two colors throughout your home. Choosing one or two colors as accents in every room is an easy way to update your color scheme and make your home look more pulled-together. 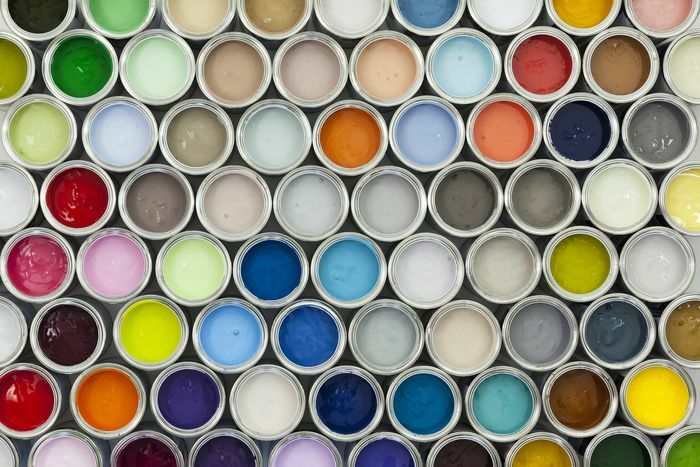 Every year, color trends are announced by the paint industry. These gorgeous color trend reports are filled with enticing photos and decorating ideas. Unless you're starting from scratch with a new home, using all new paint colors every year isn't going to be practical. What you can do with paint color trend reports is to find a color or a style you like and incorporate it into your home. Add your own touch to a trending color palette by adding pops of accent color that you love. Bold colors can be so much fun in your home, but you'll want to save them for accents if you'd like to create a peaceful space. If you love bold colors, don't feel limited to using them on a vase or pillow, you can add a stunning chair to any color palette. Colorful artwork is the perfect place to add more energy to your palette, especially on a neutral wall. Understanding the basic ideas of Feng Shui can help you create a soothing space in your home. Feng Shui relies on the principles of energy and balance. You do not have to decorate in an Asian or modern style to get the benefits of Feng Shui's color balance. Any home, in any decorating style, can be more relaxed with a balanced color palette. A balanced color palette includes a base color, a color in a medium tone, and a few lighter accents. Feng Shui decorating also encourages you to let go of clutter, and that includes color clutter with too many colors and decorations that make the room look busy and overwhelming. Decorating with a palette of monochromatic colors is the easiest way to create a relaxing room. Creating a monochromatic color scheme is much easier than it seems. You'll want to start with one color as the base for your new color scheme. Going monochromatic starts with your base color, and the scheme is built with lighter and darker shades of that color. Most monochromatic color schemes are based on neutral colors, but you can use any color as your base that you pair with the lighter and darker shades. Creating your color scheme with non-neutral colors can tone down a bold color when it's surrounded by lighter and darker shades. Think of your ceiling as a space for creating a new accent wall. 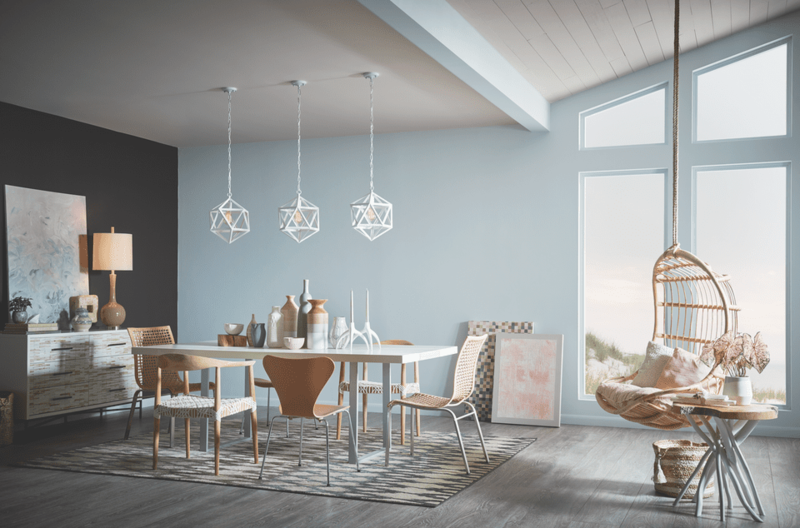 Painting your ceiling with color is a trend that is getting stronger every season. Paint color on the ceiling is a stylish way to give your rooms a finished look. A boxy room, or one without architectural detail, suddenly becomes interesting with a colorful ceiling. The key to putting color on the ceiling is to choose a color within your color scheme. Neutral paint color works best for ceilings, but you can also try a lighter shade of your wall color to open the room up. Bored with gray and beige? There is more to neutral palettes than just those two colors. Build on your neutral color palette with metallics like gold and silver. Oil rubbed bronze and copper accents work well with dark brown in a neutral palette. If your color palette includes a cool white neutral color, you can add pale pink or blue. If you prefer a warm white color, a warm gold or greige accent can help you layer your neutral colors for a gorgeous palette. It may be time to change your home's color palette. It's okay to change a color that you have had for several years or a color you never really liked. The color in your home should make you feel good as soon as you walk in the door, otherwise, you're spending every day in the wrong environment. Color should boost your mood, relax you, and make you love your space. If you have a paint color that you look at every day and think "I really need to change that," then it's time for a fresh color. The inspiration for your home's color makeover can come from anywhere. An image or something you saw on Pinterest can start your creative process. The vision of a room that stays with you even as you look at other rooms and ideas, is the perfect start to your home's transformation. The most memorable homes are decorated with an image in mind. The rooms that go beyond a basic sofa, accent furniture, and a rug, have unique accents and daring decorating ideas that make them special. Creating a mood board is an easy way to capture your decorating ideas and inspiration, making it easier to bring your vision to life in your home.